Openreach has today (Nov 26) revealed 81 locations across the UK that will be connected or upgraded to ultrafast broadband. Ultrafast speeds go up to 330Mbps which is over seven times the national average of 46.2Mbps. Openreach claims a family of four can stream 4K content simultaneously with the speed. Around two million people are able to purchase ultrafast broadband packages. 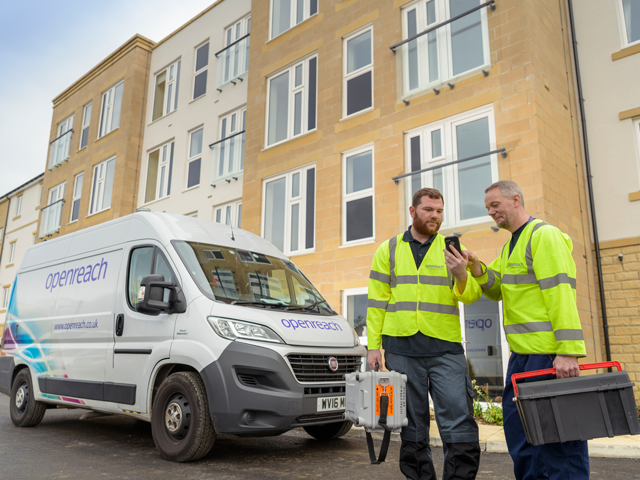 Currently 27.6 million homes and businesses are able to connect to the Openreach network, through internet service providers. Openreach invested over £11 billion into its network in the last ten years laying down 160 million kilometres of cable. BT was ordered to legally separate from Openreach in 2016 as internet service providers such as Sky, TalkTalk amongst a whole list of other independent Service Providers complained preferential treatment given to BT. The soon to be connected locations are: Acomb, Addiscombe, Aintree, Ascot, Bargoed (Cardiff), Barking, Barnsley, Beckenham, Beulah Hill (Croydon), Blackpool, Bootle, Bradford, Broadwell, Canonbury, Chingford, Colchester, Colindale, Dalton in Furness, Daubhill, Deal, Dover, Downloand (Croydon), Earley, Eastbourne, Eastleigh, Enfield, Faversham, Felixstowe, Feltham, Forest Hill, Godalming, Greenwich, Hamilton, Harlesden, Hatch End, Healing, Hendon, Hitchin, Hyde, Kemptown, Kentish Town, Kenton, Leicester Central, Leytonstone, Lincoln, Littlehampton, Llanrumney, Lords, Lower Holloway, Malden, Midland (Birmingham), Mill Hill, Moss Side, North Wembley, Northampton, Oldham, Pendleton, Plympton, Ponders End, Prescot, Primrose hill, Purfleet, Rainham, Rock Ferry, Rushey Green, Staylbridge, Stamford, Stoke City, Sydenham (Croydon), Teddington, Tewkesbury, Tranent (South East Scotland), Upper Holloway, Urmston (South Manchester), Wallington, Waterloo, Wembley, West Kensington, West Wickham, Willesden, Worthing Central. It really couldn’t be simpler, so call us today to understand how your business could start benefiting from these products. Please contact a JabbaTalk advisor on 0333 240 1185 to discuss your options further.